Your Favourite Japanese Flavours are now available in a BURRITO! We’re making lunch even more convenient with new sushi burritos, featuring three delicious Japanese flavour combinations! 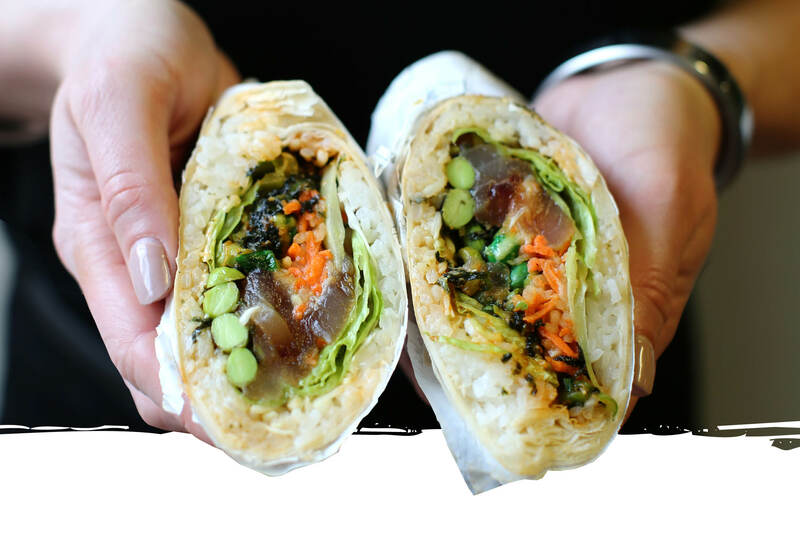 Try our Cape Grim beef, Veggie, MSC Tuna poke burritos, now available at Sake Jr Grosvenor Place or Westfield Pitt Street Mall. Our new burritos are wrapped and packed with fresh vegetables, proteins cooked beautifully to satisfy your appetite! Please share your salads on Facebook page or Instagram so we can continue to bring you innovative menu items that you’ll love!